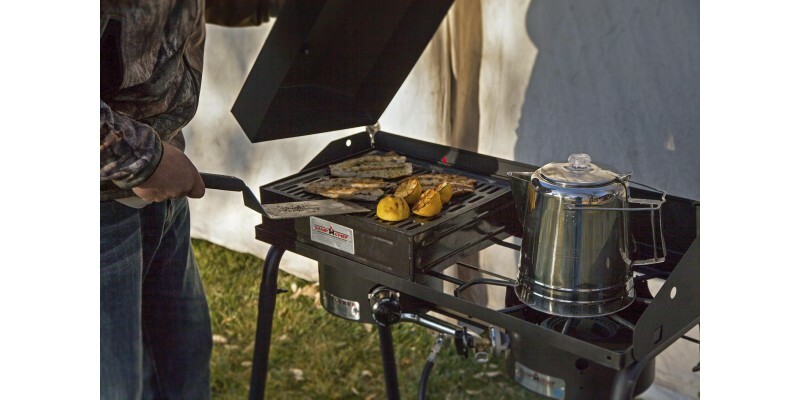 The single burner Barbeque Box (model BB100L) turns your outdoor gas stove into a portable barbeque grill. 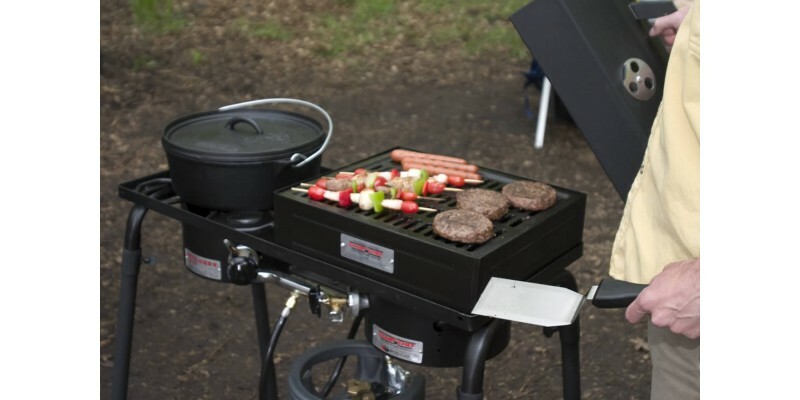 This grill system will outperform anything you've used. 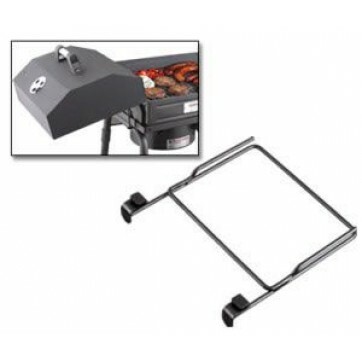 The single burner Barbeque Box (model BB100L) turns your outdoor gas stove into a portable barbeque grill. 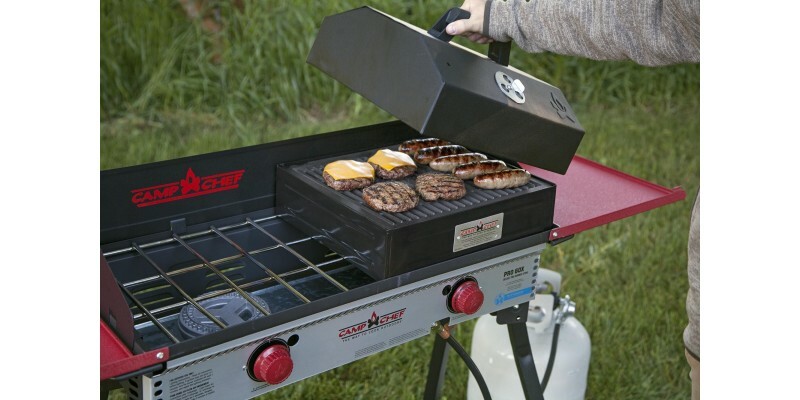 This grill system will outperform anything you've used. 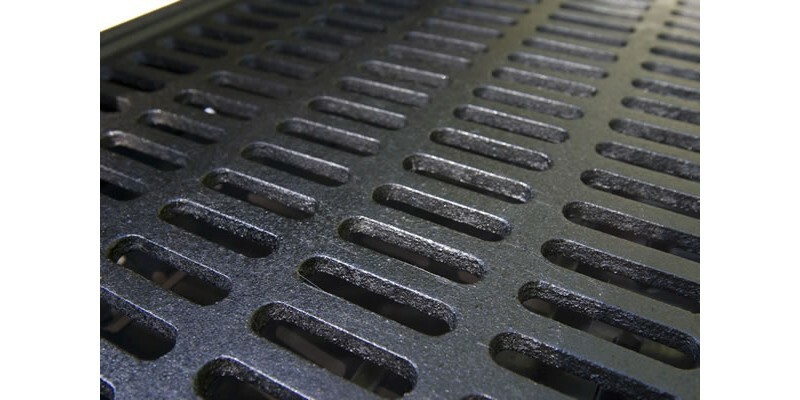 With the patented diffuser plate you don't have to worry about hot spots. 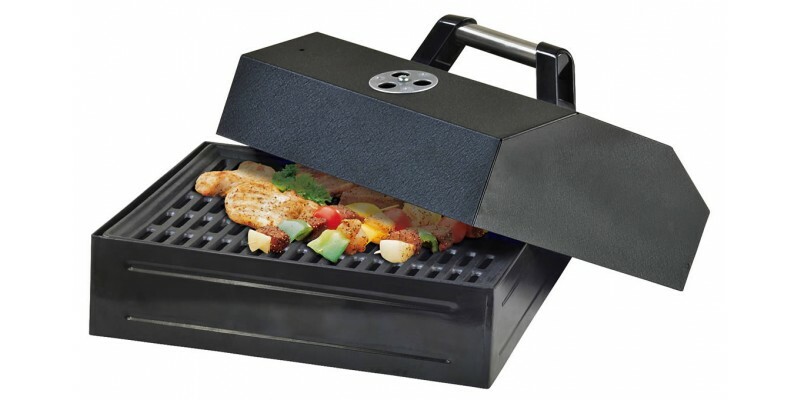 The diffuser captures and vaporizes the grease, infusing your food with a rich BBQ flavor. 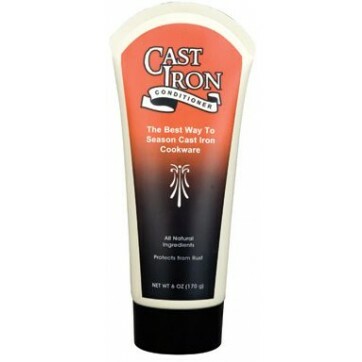 The cast iron cooking surface holds the heat and sears the meat. 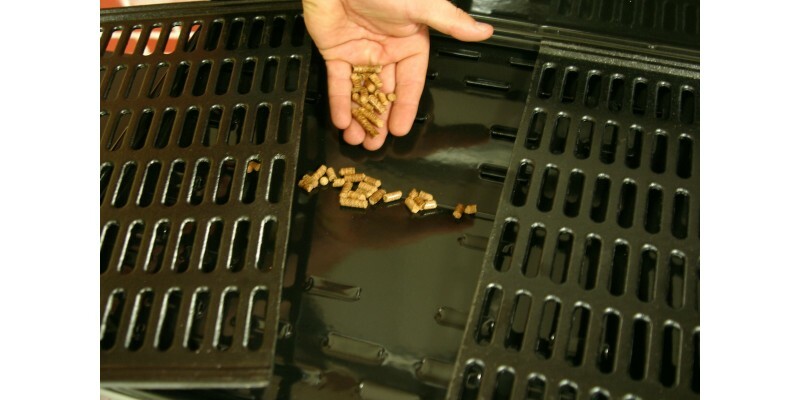 A vented lid is included to help keep the heat in. 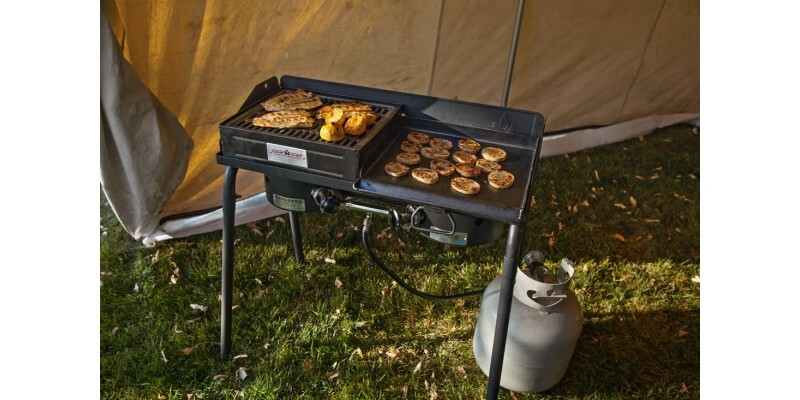 This system covers one burner on the Camp Chef Professional, Sportsman, Outdoorsman, Explorer, and OSD Models. 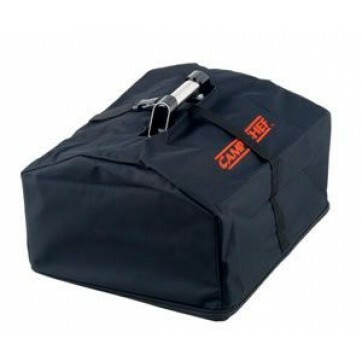 It does not fit the Sport Utility Stove. Internal heat diffusion technology for even cooking. 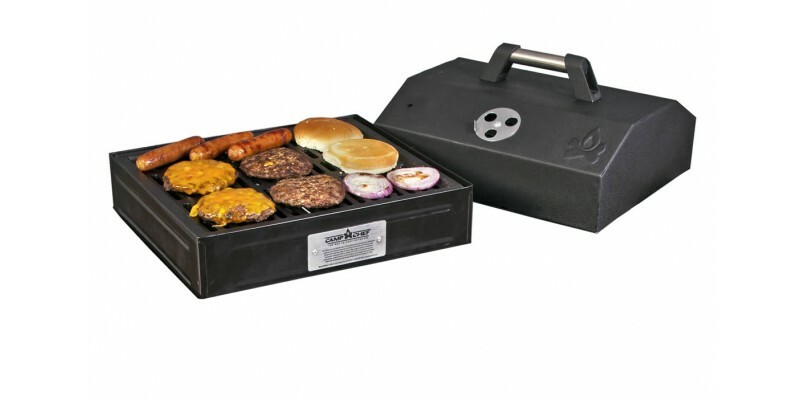 Camp Chef Barbecue Grill Box for Single Burner is rated 4.4 out of 5 by 9. 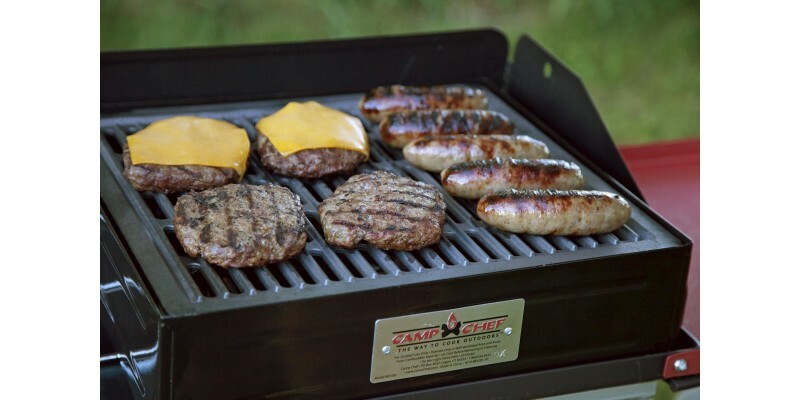 Rated 4 out of 5 by JCC from Upgrade to grill i used before. 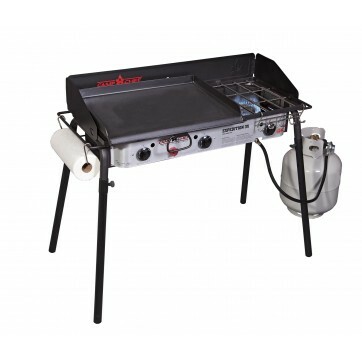 I like the fact that i don't have to carry around a stove and a separate grill. This combo really works out for me as I have two uses at one time. 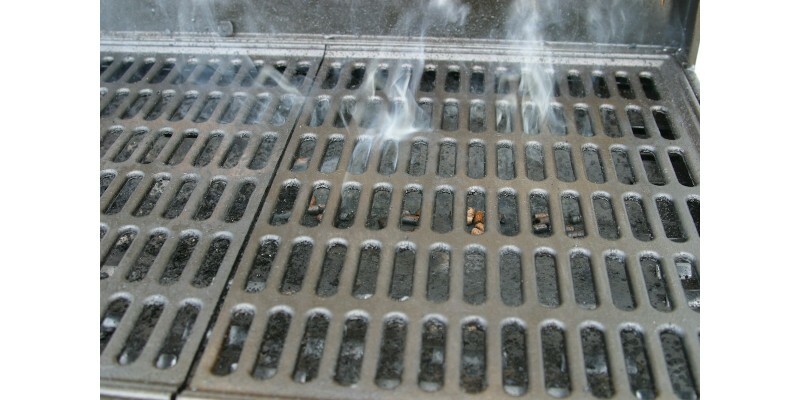 I didn't like that it came covered in what looked like grease, but i'm giving them the benefit of the doubt that it wasn't used but that it was a preseasoning for the cast iron grill grate. 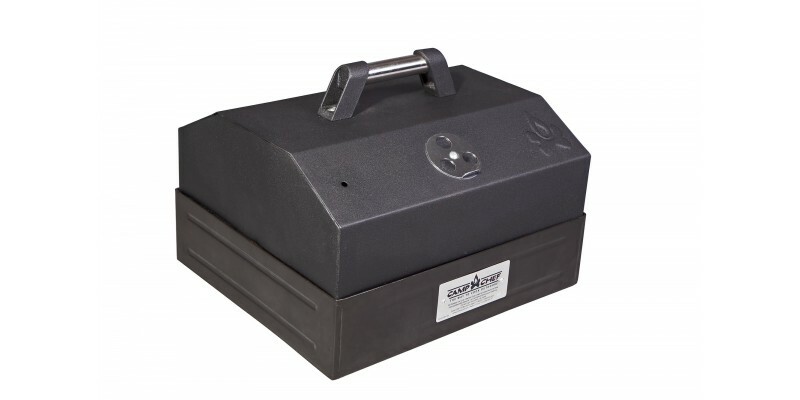 Rated 5 out of 5 by seniorhokie, clubhouse tailgate from Improve the versatility of your stove As intergral member and co-cook of The Clubhouse Tailgate, the grill box gets used 16-20 weekends a year. 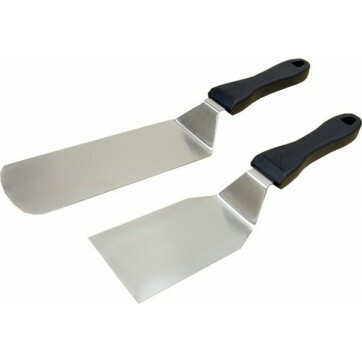 It is used for meats, both domestic and exotic, vegetables, and fruits. 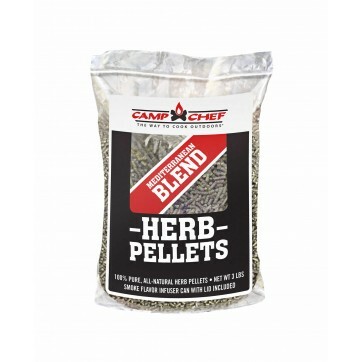 The number one accesssory to our 3-burner Camp Chef stoves. 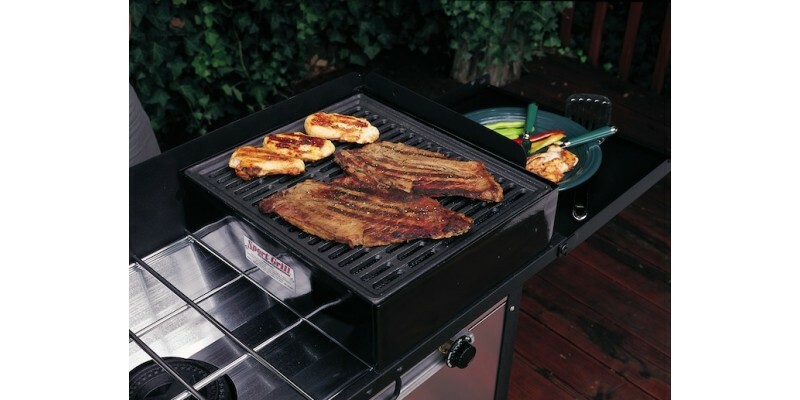 Rated 4 out of 5 by jeff from Works great This grill is great and cooks great, but if I were to do it again, I would spend the extra couple of dollars and get one with hinges and a locking lid. 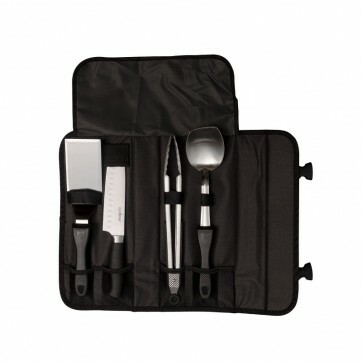 Rated 5 out of 5 by ibbigd from Barbeque Box (model BB100L) - Fantastic! Fabulous piece of equipment. 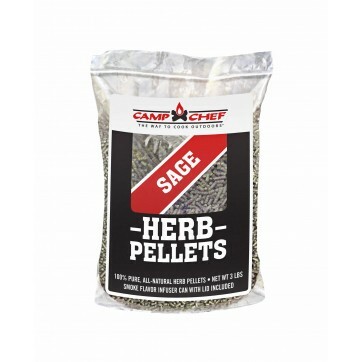 Such a great accompaniment to the 2 burner Expedition II gas grill. Nothing could be better.